The first motion poster of Mahesh Bhatt's upcoming film Jalebi - The Everlasting Taste Of Love, has finally been released. Jalebi stars Varun Mitra, Rhea Chakraborty and Digangana Suryavanshi in lead roles and is being helmed by debutant director Pushpdeep Bhardwaj. 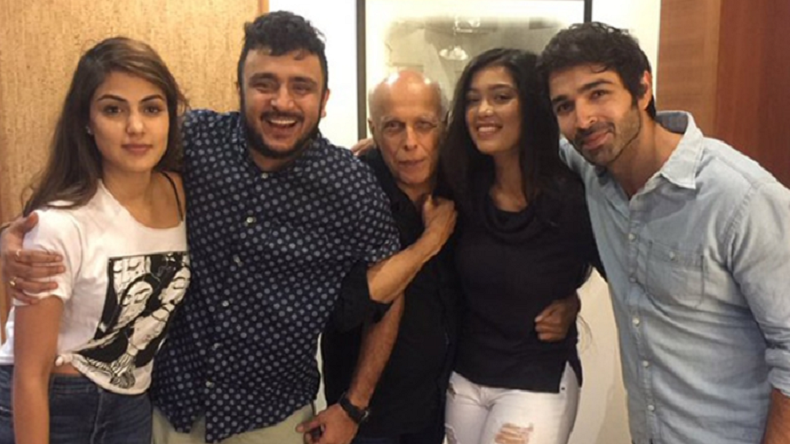 The first motion poster of Mahesh Bhatt’s upcoming film Jalebi – The Everlasting Taste Of Love, has finally been released. In the motion poster, which is all about love, they show two hands of a couple slowly drifting apart from each other. The tagline reads that once upon a time they had a love story, just like everyone has. If we go by the motion poster, it seems like Jalebi – The Everlasting Taste Of Love is the story of unrequited love and will have a thousand emotions. Jalebi stars Varun Mitra, Rhea Chakraborty and Digangana Suryavanshi in lead roles and is being helmed by debutant director Pushpdeep Bhardwaj. The lead actress, Rhea Chakraborty, has featured in a few Bollywood films such as Mere Dad Ki Maruti, Sonali Cable, Half Girlfriend, among a few more. The film is being produced under the banner of Mahesh Bhatt and Mukesh Bhatt’s production house Vishesh Films which has previously been the launch pad for many newcomers such as Kangana Ranaut, Emraan Hashmi, Mallika Sherawat, Shiney Ahuja, among many others. The film went on floor on March 21 this year. The film also marks the big Bollywood debut of television actress Digangana Suryavanshi who has featured in a number of television seires such as Ek Veer Ki Ardaas…Veera, Qubool Hai, among a few. Digangana Suryavanshi also participated in the ninth season of controversial reality show Bigg Boss. Mahesh Bhatt, Mukesh Bhatt and Vikram Bhatt’s Vishesh Films is one of the most successful Indian film production banners. They have made superhit and blockbuster films like Dil Hai Ke Manta Nahin, Sadak, Sangharsh, Paap, Murder, Kalyug, Gangster, Woh Lamhe, Awarapan, Raaz, among many others. Film and trade analyst Taran Adarsh on Wednesday shared the first motion poster of Jalebi – The Everlasting Taste Of Love.